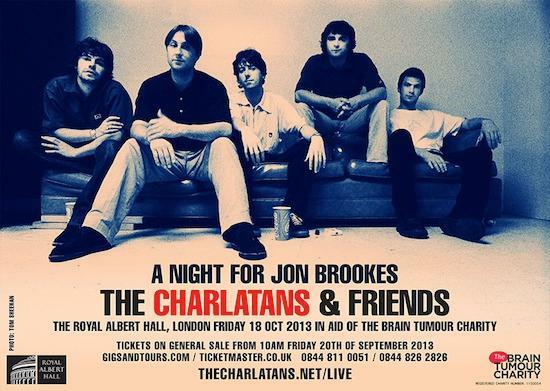 The Charlatans have announced that they will be hosting a tribute night in memory of their late drummer Jon Brookes. The concert will take place at the Royal Albert Hall on October 18 and will feature a headline show from the band, in addition to sets from Liam Gallagher, members of New Order and The Vaccines, Chemical Brothers DJs and Birmingham four-piece Dumb, with all proceeds going to the Brain Tumour Charity. Brookes, one of the founding members of the band who recorded on all eleven of their studio albums, passed away in August following a long fight with brain cancer. For tickets and full details, head to the band's website.